Jen is at it again!! A yummy crockpot recipe that is easy and different!! I LOVE the idea of wrapping the chops in their own little package and I am always looking for a “new” way to prepare pork chops, this is a great idea. Would be lovely for a dinner party as well. Thanks Jen!! Place each pork chop on a sheet of tinfoil; add salt, pepper, spoonful of jam, 4 slices of apples, wrap package up leaving one end open, pour Brandy in. 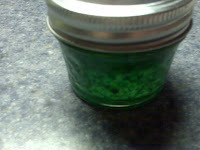 (Apx 1/4 to 1/3 cup) seal other end. place in crockpot and cook on low 8 hours. Don’t forget to enter to win a FANTAB Party Dress from Shabby Apple ENTER HERE!!! This entry was posted in Uncategorized and tagged apples, crock pot, crock pot wednesday, crockpot, Fall, Jen Cooks, Mama Bird's Nest, pork, pork chops. I had some great looking pork chops that I picked up at the new Lowes Grand Opening and wanted to try something different! I was in the process of making my fav chocolate chip cupcakes and had an extra cup of coffee so I thought, ummm… coffee, bourbon, molasses (I used this crazy syrup/molasses like ingredient called Steen’s Pure Cane Syrup which our good friend Matt brought us from Louisiana. It is crazy thick, I had to take a pic for you all to see!! Mix all ingredients, salt & pepper the chops and put in gallon plastic bag. Marinate overnight or longer! Hubs grilled on the gas grill you could use grill pan or whatever works best for you. We had these fantab carrots with the pork. A great side! This entry was posted in Uncategorized and tagged carrots, Coffee, coffee marinated pork, Mama Bird's Nest, pork, pork chops. I made a ton of Pepper Jelly this past summer and I have been trying to think of things to do with it other than just one of the most simple and yummy cream cheese and pepper jelly with butter crackers. I found some great looking pork chops on sale and my mind starting churning. Here is what I came up with. Season chops with s&p. Add olive oil to grill pan and cook apx 10 mins flip and cook additional 8 mins. Remove chops and add butter & flour to pan cook 2 mins add wine then broth then jelly cook 2-5 mins, add chops back to pan and allow sauce to coat chops. Enjoy! 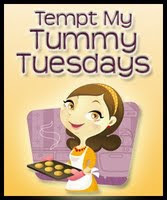 For more great recipes go HERE!! This entry was posted in tmtt and tagged Blessed with Grace, green peppers, Hickory Mom Blogger, pepper jelly, pork, pork chops.